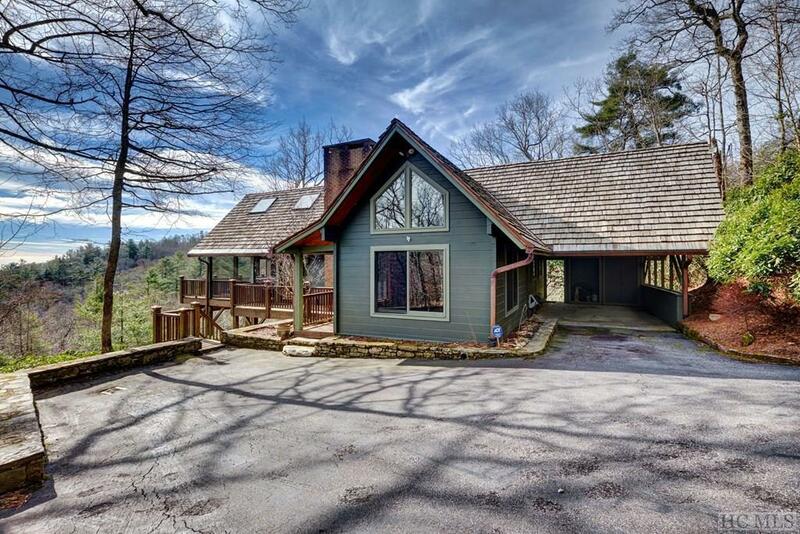 Mountain view home within minutes of downtown Highlands. 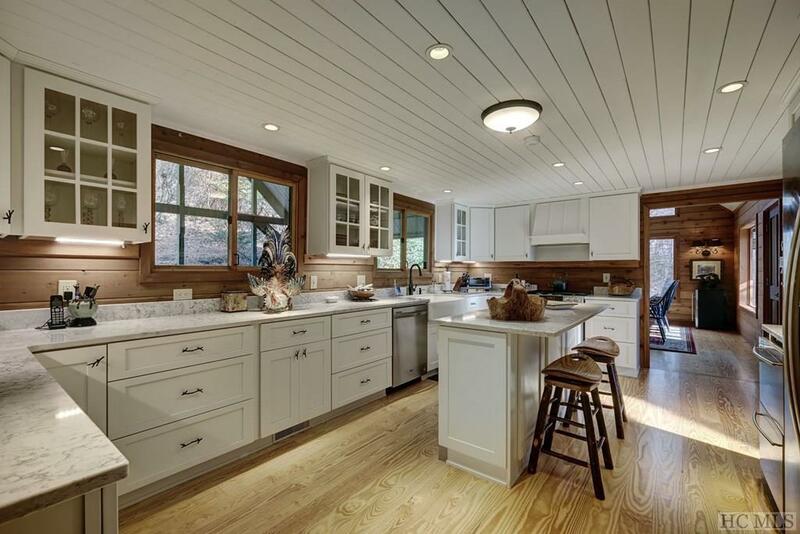 Remodeled in 2018 with the perfect mix of rustic wood and elegance. Incredible long range views of the Blue Valley. To own this beautiful and peaceful property membership to Highlands Country Club is recommended but not mandatory. The Master bedroom with recently updated bath is on the main level along with an additional full bathroom. The vaulted living room has a rustic feel with wood accents and wood walls. The living room fireplace is a wonderful place to gather. 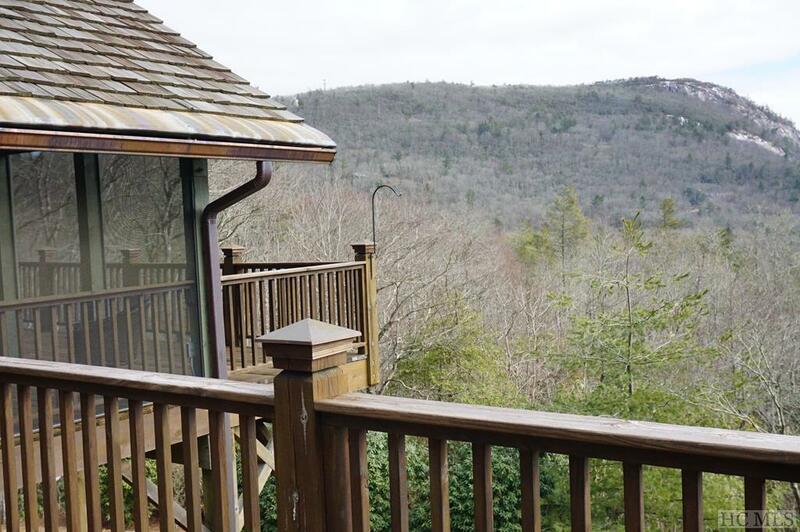 The oversized screened-in porch takes advantage of long range mountain views for breezy late night dinner parties. While the lower level features: 2 guest bedrooms each with a bath, the lower-level living room fireplace is a wonderful place for your guests to curl up on chilly or snowy days. Your guests will love the 'walk out' level - to the gardens and their own private deck. This home also has a loft area, perfect for an office or bunk room for grandchildren. 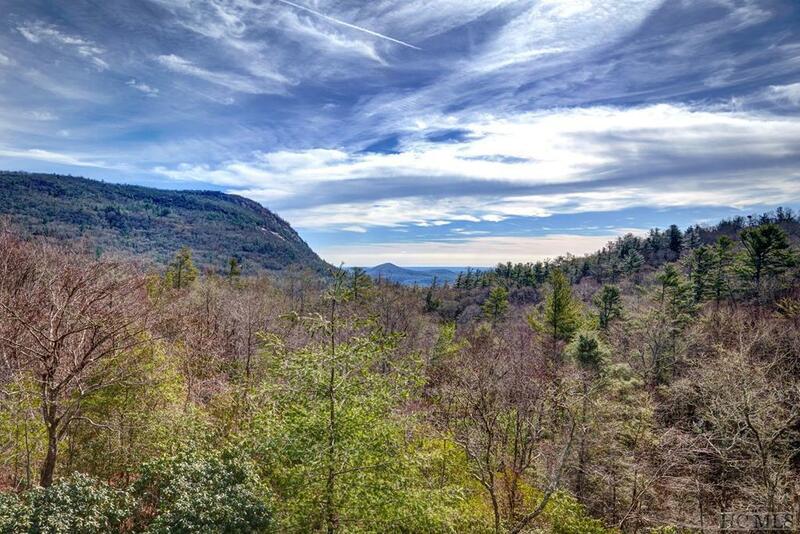 THE VIEW PORTION OF THE PROPERTY TOUCHES THE HIGHLANDS-CASHIERS LAND TRUST. Listing provided courtesy of Andrea Gabbard of Highlands Sothebys Intl Rlty - Dt Office.